Motorcycles weren't designed by opinions or good advice and riding is the same. 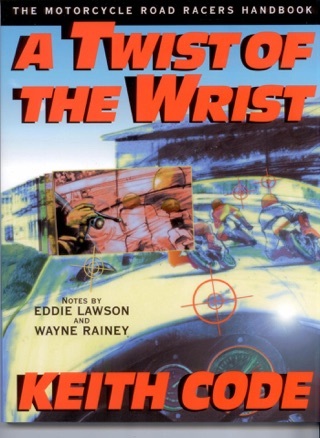 Keith Code's A Twist of the Wrist II describes the precision riding techniques that all riders need to conquer their fears and overcome the barriers to cornering such as: Rider input, Steering, Visual Skills, Braking, Body Position, Throttle Control and more. 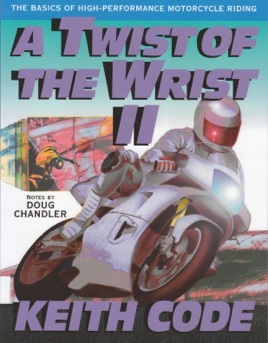 A world wide best-seller since its publication and translated into several languages, this go-to book for all motorcyclists from weekend riders to racers is now available in eBook format for your convenience. A great book. Take your riding and abilitys to the next level.